Our company Master International Transport, s.r.o. 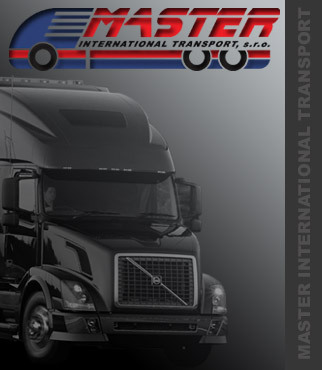 deals with International and domestic transportation inma all parts of Europe. We ensure you the same quality and fast transport not only for piece goods (from several kg) but also for carload freight. To complete your orders we use a wide car fleet of our contracted carrier that´s why we are not limited in weight or capacity. We also provide transport with refrigerated, isothermal, high-capacity, overmeasurement trucks and transport of dangerous goods by trucks equipped with ADR. Our priority is to offer service on high level and satisfy all requirements and demands as best as we can. We have a great background in this sphere of business. We are open to advise and help you to propose the most effective solution related to your transport requirements.